Thank you for visiting our news page. Here you can find information on recent news and events as well as information regarding upcoming events, opportunities and needs. Don’t see what you’re looking for? Please consult our FAQ section or contact us! The Chippewa Valley Free Clinic Finds New Home! 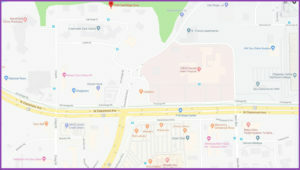 As you might have noticed, the Clinic has found a new permanent home in the medical profressional area just off West Clairemont between Marshfield Clinic and HSHS Sacred Heart Hospital. For more information about this exciting move, please see our press release. Raise Spirits, Give Hope 2018 – Thank You! 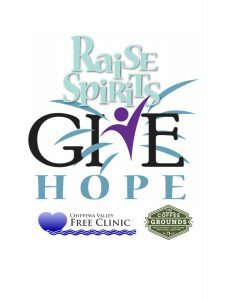 The 2018 edition of the Raise Spirits, Give Hope fundraiser event was a tremendous success. With your compassionate participation, this year’s event raised $68,500. This equates to almost two months of funding for the Clinic; keeping the lights on, doors open, and providing free services and medications to our most vulnerable population. A huge thank you to all of our sponsors, donors, and attendees who made this a night not to forget. We are looking forward to the 4th annual event coming up next year, so mark your calendars for May 3, 2019! You can now purchase your tickets here for the 2019 event. Stay in touch with news about the Free Clinic with our biannual newsletters! Learn more about how the Clinic is growing with our annual reports!